When you upload a video to your Swivl Library, it starts off completely private by default. To begin, select a video you wish to share and choose "Share" either from the quick select option on the video thumbnail in your Library or by opening the video project and selecting Share from the top menu of options. When you select Direct Share and enter someone's email address, whomever receives this email will either prompted to sign in to their existing account or to sign up for Swivl cloud in order to view the video. The Swivl cloud user who receives your video needs only a Standard account at minimum to view and leave comments on your video. In the future, any videos that have been shared with you directly on Swivl cloud will appear in "Feed-Shared with me"
Please read carefully as this option functions differently for individual Pro or higher users vs. Pro or higher Team Members. Share to List: allows you to add other Swivl cloud users to a distribution list so multiple users can watch your videos and leave you comments. Ideal for sharing videos for PLCs or cross-district PD where not every user may be part of your limited Swivl team account. You must be a Pro user or higher to share to a List, but the users you add to a List can be Standard or higher to view the videos and leave comments. Share to Group: for Pro Team Members or higher only. Allows you to add other Swivl cloud users from your team member listing so multiple team members can watch your videos and leave comments. Ideal for sharing videos for PLCs, Mentor Groups, and PD. You must be Pro user or higher on a Team to share to a Group you're part of, but the users you add to your Group can be Standard or higher to view the videos and leave comments. As you might guess, Pro or higher Team members can engage in both types of Sharing (Lists and Groups): They should utilize Lists for individuals who are not part of their team to encourage broader access and Groups for individuals who are part of their team for deeper collaboration. In the future, any videos that have been shared with you directly on Swivl cloud will appear in "Feed-Shared with me" and can further filter by: "List Feed" or "Group Feed"
Sharing an unlisted weblink allows you to share videos with anyone using a unique, unlisted URL regardless of them having a Swivl cloud user account. To reiterate this, note that whomever has access to this weblink will not be required to sign in to Swivl cloud to view this video and therefore, this method is not private or secure. We recommend using Direct Share or Share to List or Group whenever possible. When you click Share Unlisted Weblink, we will generate the unique weblink for you to share. IMPORTANT: As shown in the screenshot below do not share the URL that is in your browser's address bar. You must share the unique weblink created for you otherwise your recipients will not be able to access the video. As a reminder, this the only Sharing option for Standard users, so when you share via weblink, the recipients with whom you share the link won't be able to leave comments directly on the video. If you wish to receive comments on your video, you must select Direct Share, Share to List, or Share to Group and you must be Pro or higher to initiate the Share. Embedding a video creates an HTML code to paste into an LMS, webpage, blog, etc. Your video will be directly viewable by anyone with access. You must be a Pro user or higher to share via this method. First, select your desired settings then copy the generated embed code that will appear at the bottom. 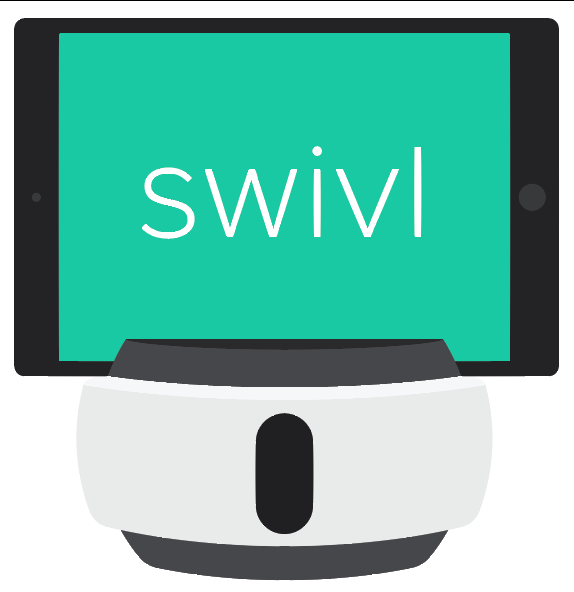 For Pro Team members or higher Want even more options that Swivl Team has to offer? Download our PDF guide below.